YOU WANNA LIVE ON THE SHORES OF LOCH NESS? ... and wonder if you know of anyone who would like to live within walking distance of the Loch? Over the weekend we have had more snow than we have had in years, and although the assorted dogs, cats and humans, have made it into a trodden down mess, the garden is still fairly wintry. Carl Marshall was due down today, but we took the decision to abort, purely because everything that we needed him to do is outside. and making the poor boy work outside in this would be something akin to being an inhabitant of a Gulag somewhere. ... St. Simons Island in Georgia Friday when they came upon the creature on a barrier island. Warren thought it was a dead seal, but said when he got a closer look it resembled more of the Loch Ness monster. 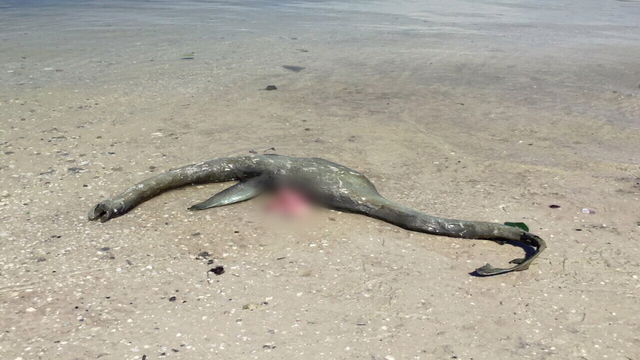 https://www.news4jax.com/news/mysterious-sea-creature-washes-ashore-in-st-simons-island. Download subtitles from youtube videos! He said there have been a couple of sightings in southern Delaware County within the last two weeks. The problem, he said, is that when members of the Bigfoot researchers group interview witnesses, they are often told that 25 other people have seen the same thing but are embarrassed to talk about it. ON THIS DAY IN - 1571 - Spanish troops occupied Manila.